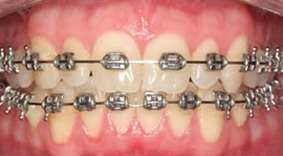 Fixed appliances, known more commonly as 'train tracks', consist of a series of brackets, (typically stainless steel), which are cemented on to the teeth, with a wire (called an archwire) tied into the slots on the brackets using small elastic bands or wires. Treatment typically lasts anywhere from 12-36 months, depending on the severity of the case and can be worn by all age groups. We are able to provide high quality fixed and removable appliances for patients undergoing NHS treatments. There is a waiting list to commence NHS treatments due to high demand although more urgent cases may be seen more quickly. 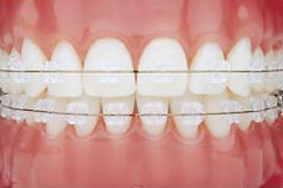 To create your perfect smile, the Orthodontic Clinic can offer private patients the latest in orthodontic technology. Private treatment is available for both adults and children. By choosing private treatment you are making an investment as there are no waiting lists and no restrictions on the appliances we can use. 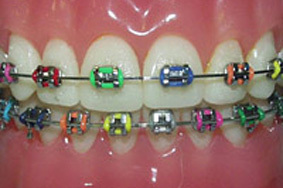 This means the most sophisticated and aesthetic braces are available, giving some advantages over traditional orthodontic approaches.